Casey Jones is a 60% Sativa - 40% Indica cannabis hybrid, created by Greatfulhead and available here as feminized seeds thanks to The Devil's Harvest seed bank. 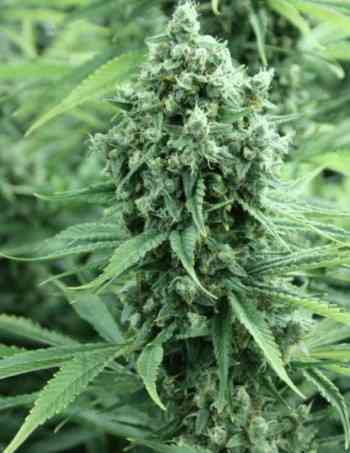 A quick flowering and high yielding genetics, with a clear and peaceful high, intense and uplifting. This marijuana strain is beloved by growers and smokers for its large crops and high effect. The clone used to make these seeds was selected by Connoisseur Genetics, a seed bank famous for its high quality selections on many strains. 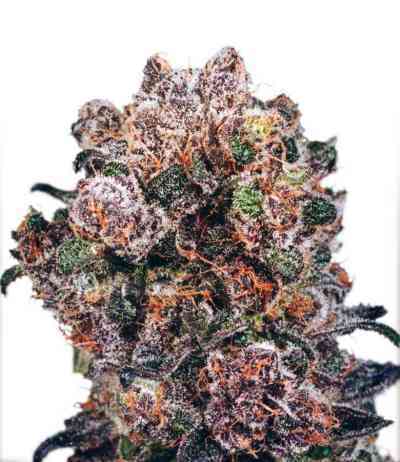 Coming from a Train Wreck x Sour Diesel x Thai cross, Casey Jones can show some phenotypic variations on its floral structure and taste, that can be more fruity or Diesel, but its unique nature is easy to feel in each plant. Casey Jones' yield can reach more than 600gr/m2 of long and thick buds made of big calyxes, and produces a complex aroma, mixing floral and earthy notes with fruity, Diesel and organic hints. Quickly perceptible, the effect of this strain is entertaining and inspiring, without being hyperactive, but more quiet and happy.